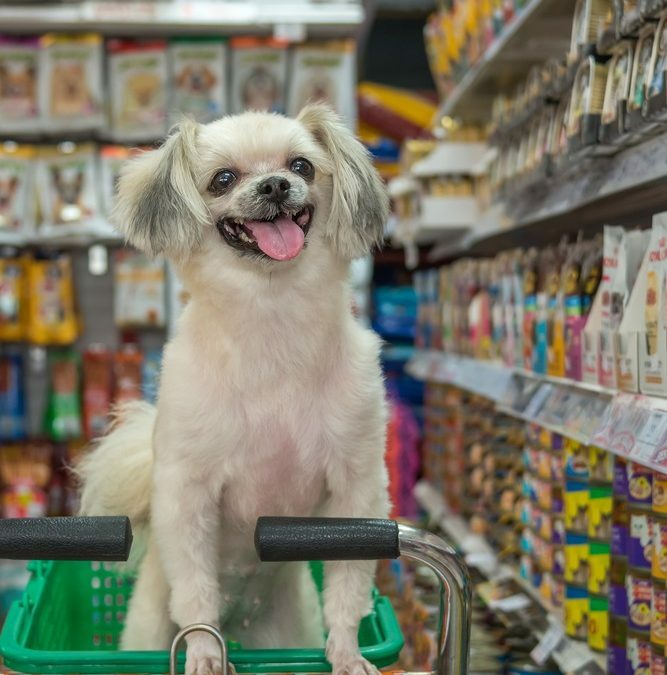 Each pet store, regardless of where they are located geographically, must change and evolve to compete in today’s world of mega-stores and online stores. Gone are the days of the small store in town that sustains itself on visibility. Most cannot win the price wars, nor do they flourish behind great signage and advertising. Survival today as a retailer requires more than a good product and prominent location. Pet stores today must compete and win by carefully crafting their business plan and ensuring it grows with the changing world. Over 50% of all retail stores will fail within the first 4 years. What steps can you take to ensure that your store will not become another statistic? 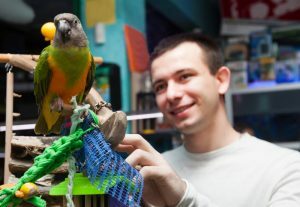 A pet store owner should consider his products. While your store is stocked with a variety of products geared toward pets and you most likely have a variety of pets, those are not truly your products. Pet store products are not pets and pet items? No, not really. Today’s customers may shop online for most pet needs, including food. They might even purchase a pet online. What can you offer potential customers to bring them to your store and keep them coming back? Why should they choose your pet store over all the other options? Concentrate on providing great customer service! While you might believe that you are selling pets and pet products, customer service and helpful knowledge are your true products. People may go online and purchase a crate, dog dishes, and other needed supplies for that pup they just selected from their local shelter. Instead, many will choose to come to your store where they can ask questions about products, find a well fitting collar and lead. They will leave with their necessary dog care items along with much-appreciated knowledge gained from you and your employees. You are not just selling pets and products, you are selling solutions. Additionally, you are selling your knowledge and your customer service. In-store shopping offers advantages that online will never be able to provide. Human contact and personalized service build a rapport that computers cannot imitate. Although smartphones and computers occupy much of our daily lives, people still crave personal contact. Build upon that need by getting to know your customers, ask about their pets, and show genuine interest in each person and pet. That rapport you are building assures your customers. When they need information or are looking for a new product, they are confident you will help. People still like to use all their senses when making a purchase. Seeing the item in person, touching it, and evaluating the quality helps your customer decide which item is best for them. Add your personalized customer service by answering questions and even offering to help carry items to their car. People interact with people. People interact with items, too. Most of us crave instant gratification and this extends to making purchases. Retailers have utilized this fact for years by ensuring they have adequate stock on hand and extending the hours the store is open. With few exceptions, online sales require an amount of time for the item to be shipped to you. The all-in-one solution. Large discount department stores have a few items, often at a lower price. 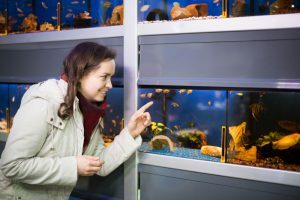 Mega chain pet stores offer a good selection of items with varying prices and limited customer service. Bargain pricing on a wide variety of products draws many to the online merchants. These online stores lack personal contact and the ability to see and compare in person. You are the all-in-one solution. While your prices may not be the lowest, you offer. value from experience, knowledge, quality, and that personalized touch. The PET bonus: Most people browse pet stores to interact with the pets. Many of these browsers eventually will purchase a pet and the needed supplies. While caring store owners attempt to avoid the impulse sales that will soon be returned or rehomed, most understand the attraction that does eventually lead to a pet purchase. Although a pet may be purchased online, it is difficult to set aside the in-person effect. Holding and snuggling with a bunny, touching the iguana, watching the fish swim in the display aquarium, those are important sales features. Not everyone holding the kitten will purchase one. Some will come back for a pet later. Others may already have one or more at home. But those living attractions will keep potential customers visiting your store for an experience that online shopping can never imitate. A dynamic website and busy social media will reach out to potential and current customers. While your business is a walk-in store, people often choose retailers based on their web presence. Your colors and design should reflect your business. Keep it updated; bring in fresh material. Your blog should contain useful information that is timely and fresh. Make sure that it ties to your products to bring customers to your store. Your online store can also bring customers to your retail store. Although this might seem like competing with yourself, it’s actually a great business builder. A web store showcases your store and your product lines. Offering the choice of purchasing online when it is more convenient gives you an important stand against other online retailers. It also provides a benefit that other online stores do not: the ability to offer custom home delivery. People will continue to shop at their area pet store now and in the future. Stores need to re-evaluate and adapt strategies to ensure a strong customer base. 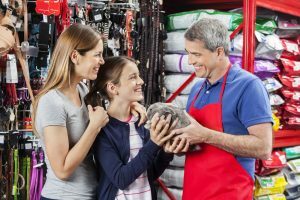 Successful pet store owners utilize these points, as well as other value-added practices. As with any competition, winning depends on assessing the strengths and weaknesses of your competition and adjusting yours in response.